Opening on Thusday 2nd May, 6-9pm (as usual), the exhibition is on until Saturday 18th May. Robertson was born in Glasgow 1936, graduated in Dundee and travelled the world. He lives and walks and works in Scotland. Turn the image, see this work. Original work available for purchase. iota will not let you down! an action packed programme for 2019! 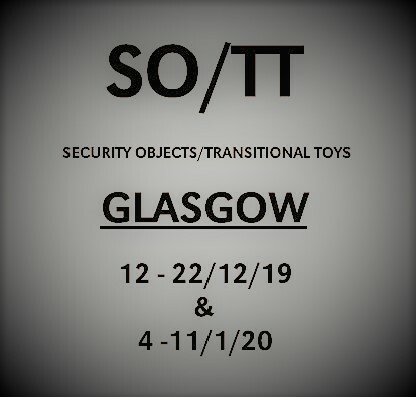 As 2019 continues (with it’s own unique brand of chaos), you can rely on iota to bring you a great range of new work from across the arts disciplines and from Scottish and International artists. 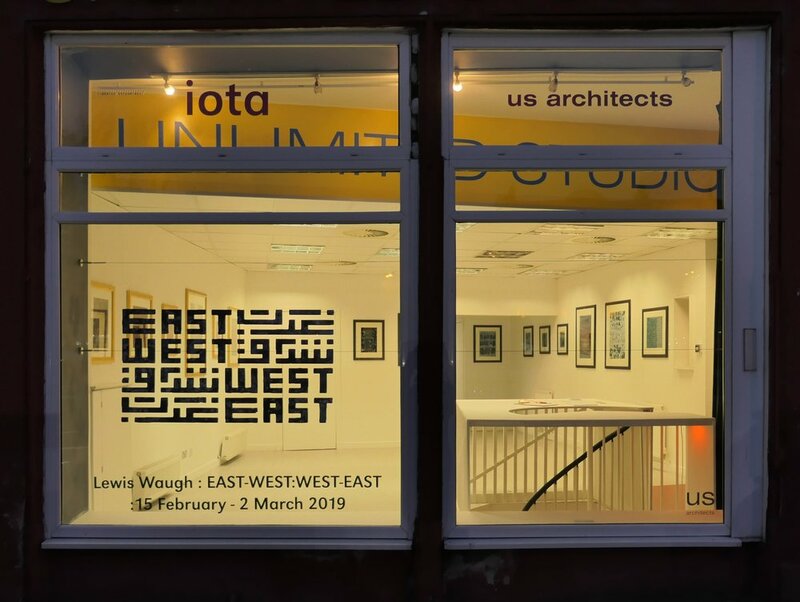 Having started the year with a packed house for Lewis Waugh’s EAST-WEST:WEST-EAST show, we will sustain your cultural needs!. Drawing, mixed media, photography, poetry, film, installations. We have it all in the bag! sign up for our emails or like iota gallery on facebook to get the latest info. Glad to report that at as well as this exhibition of new work by Lewis Waugh, we are happy to present words & poetry at the Preview on Friday 15th February. 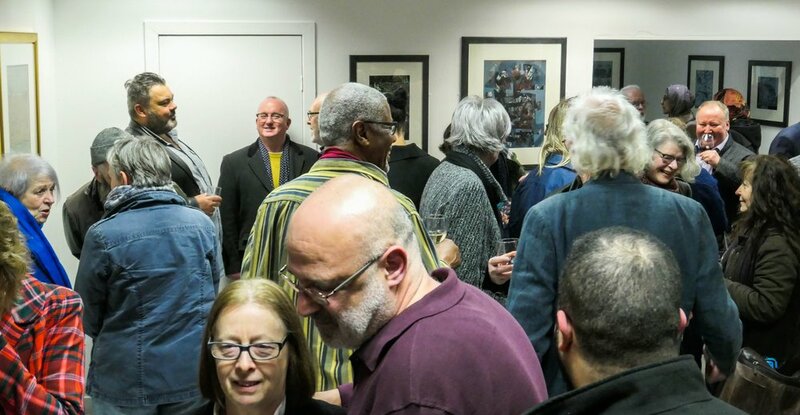 There will be short readings of work by Gaelic poet Meg Bateman & Glasgow/Palestinian poet, Iyad Hayatleh. Edinburgh – based artist Lewis Waugh acknowledges the influence of Islamic art on his imagery. The resultant abstract forms are a fusion of Islamic geometry and Hebridean dreaming. 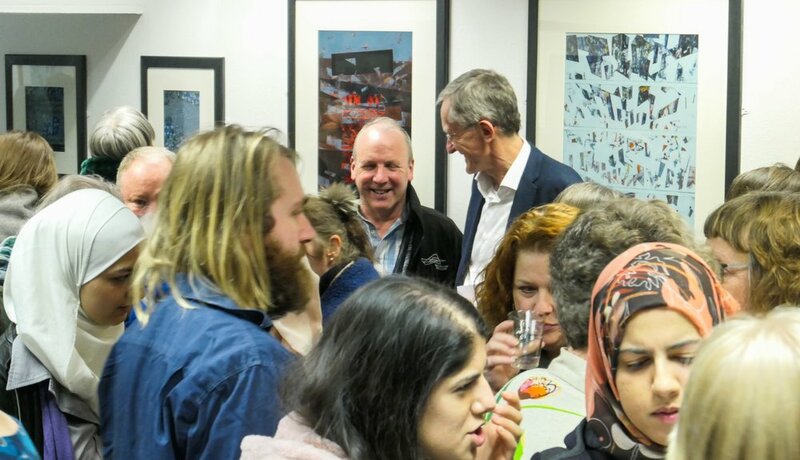 EAST-WEST:WEST-EAST An exhibition of images by Lewis Waugh, inspired by the Skye Cuillins and Moroccan High Atlas. Opens 6pm Friday 15 Feb.
All religions share the same fundamental principles of love and peace expressed through wisdom and compassion for others. How then can these immutable tenets be interpreted in such a way as to promote intolerance, hatred and extreme violence, is it in fact politics more than religious fanaticism that has led terrorists to blow themselves up? Exhibition until Saturday 20th October. Please Join us for a short talk & Q&A by Rowena Comrie. Hear all about it! Stref. Much to see at iota from 7-23 June. iota would like to thank all the creative people who have contributed so much to iota this year, and those of you who came to our events. Here's the last event that iota will tell you about this year. Happy to report that through your support we have been able to take a hefty box of art materials to the Glasgow Children's Hospital Charity. We have a stonking programme for 2018, so get your calendars at the ready!